DID YOU KNOW – by having your pet/s spayed or neutered in OUR clinic, your money goes to benefit our homeless shelter pets. A win/win for both your pets and ours! Our on-site vet clinic is working with the MA Animal Fund to provide FREE spay/neuter vouchers to the public. 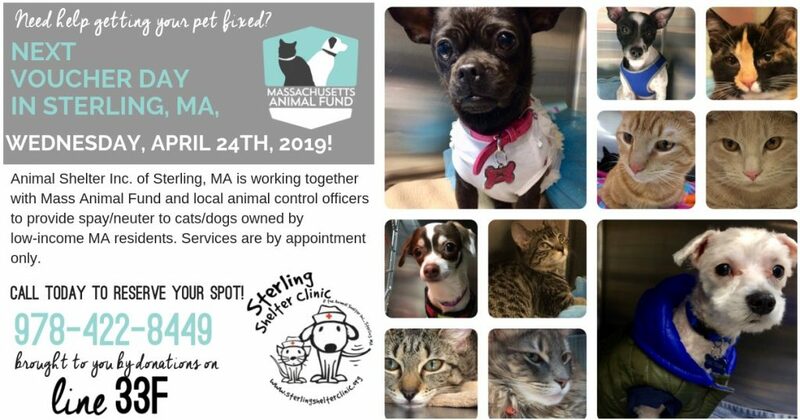 We do clinics (about every 5-7 weeks) so if you missed one, please contact our clinic to find out the next date and For more info please contact MAF for details and to find out if your pet/s qualify. 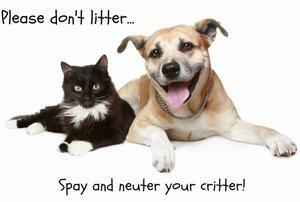 Spay or Neuter Request Form. Our low cost spay/neuter program and services are NOT designed to replace your annual / general / wellness / sick veterinary care. Our shelter uses AND recommends you choose one of our partner hospitals throughout New England. 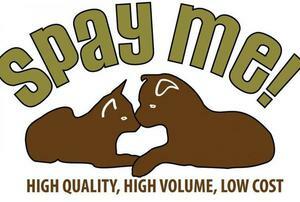 To promote and provide affordable, high quality low cost spay and neuter services for cats and dogs in an effort to stop the killing of animals due to overpopulation. 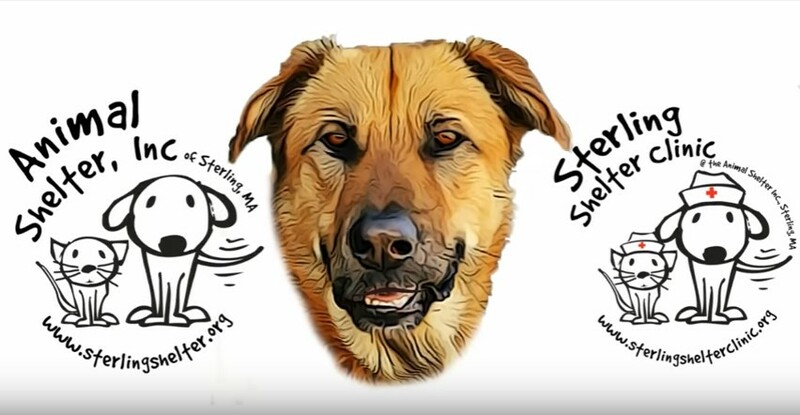 To help our community’s animals and because our region has few programs for these services – the Sterling Shelter’s on-site veterinary clinic is proud to offer LOW cost spay / neuter services to the public. Learn more about our programs. Our clinic specializes in pediatric spay/neuter Pets that are 8+weeks and 2+ pounds can safely be fixed and there are many benefits associated with early spay/neuter. To receive an estimate and appointment, please fill our Request Form. If you have problems submitting the form you or have specific questions you can email sterlingshelterclinic@gmail.com or call us at 978-422-8449. Phones are generally NOT answered during the day as we are in surgery – however you can still leave a voice-mail. 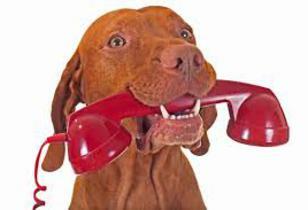 Please allow 48-72 hours for response, we are very busy caring for our furry friends. Follow our clinic Facebook page for additional discounts / services, important tips, pet care information and a little pet related humor. Check out our amazing and cute CLINIC and SHELTER video! 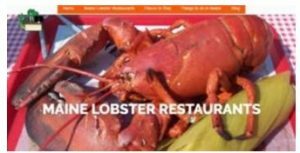 Video Credit: Thank you so much to Phillip Mann over at http://mainelobsterrestaurants.com/ who created this awesome video for us. If you need website design or marketing, you will surely want to check out his website!